Speedy the cheeky house bunny: Christmas Countdown December 15th! She sure looks a cutie already for Christmas! 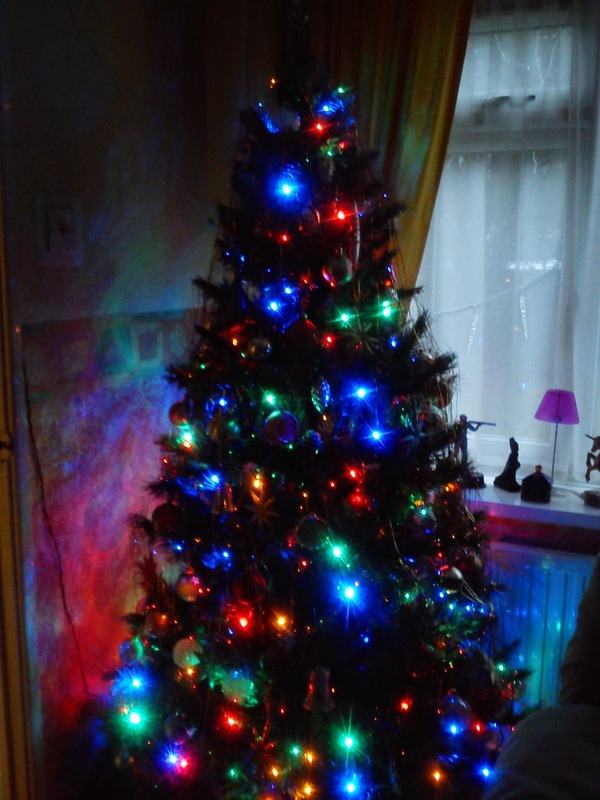 Now I know you all want to see my Main tree in all its finery and you have been wait ages to see it,well here you are my friends! Tomorrow you'll get to see the nativity under the tree and may be a few other photos too! Freya & her Christmas tree are very pretty Speedy! Much love to you & Mom Rachel & Dad too! Aunty Freya? Have you been visiting Speedy without me? I bet you were there to snaffle that lovely cake, I hope you saved me some. 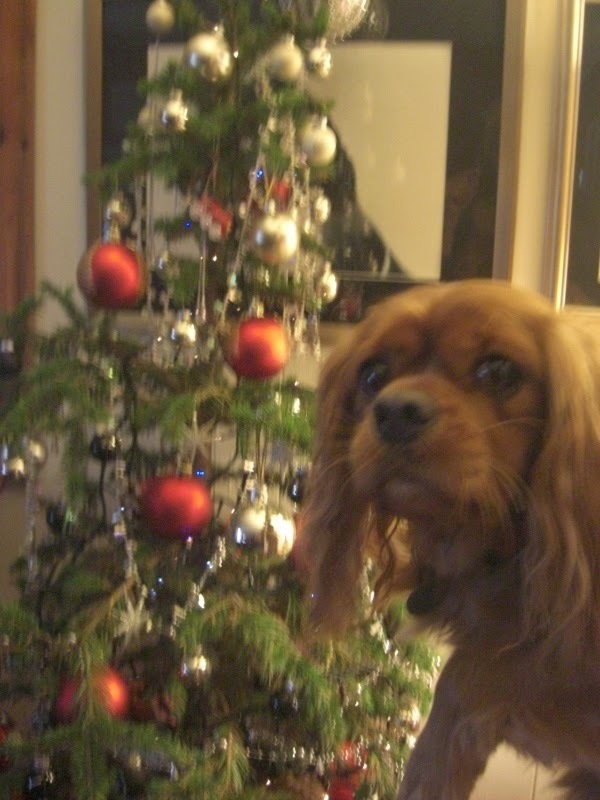 Oh, you just sent a photo of your tree....that's okay then 'cos I really fancied some of that lovely CAKE! Heheheh! I like your photos! Speedy and I are just good friends. I think the Christmas cake is hidden. Lovely seeing Freya. Have a marvellous Monday. I like the blue lights. Those trees are fantastic Speedy! 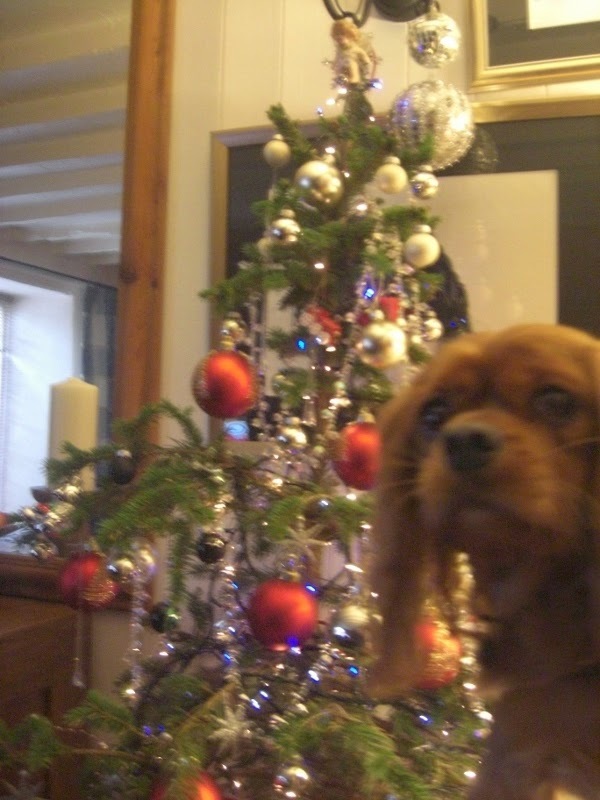 What lovely trees both you and Freya Rose have!! Very pretty trees. Have a good day Speedy. Both trees are lovely. I am still waiting for mum to put mine up. That tree in th dark is just some awesomeness! SPEEDY! I love your new background on your blog with the snow bunny! LOVELY! And yes little one, only 10 more sleeps left! I am giddy too with excitement! LOVE! Always so pretty and festive - and there is dog in there! Pretty tree. Pretty doggie. Sweet! 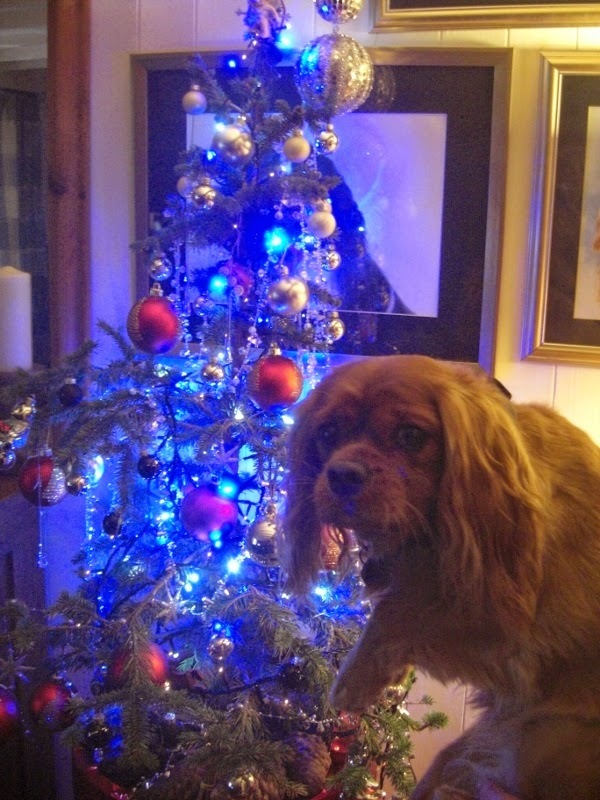 Wow, Speedy, your tree is gorgeous! 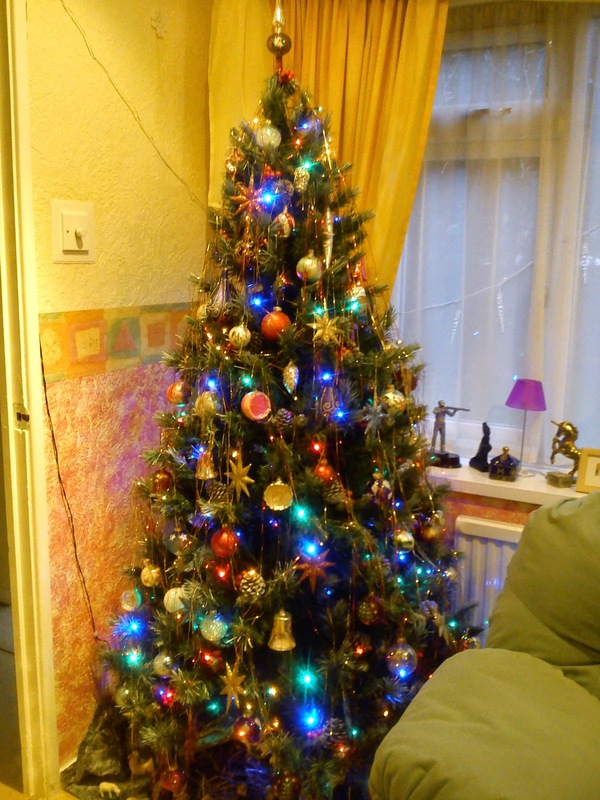 Your main tree is beautiful as is Freyer's. I took my photos today and hope to email them in tomorow! Oh and BTW, I finally have my holiday photos ready and will be emailing you shortly!